Yesterday I made a case for Addison Reed turning things around in 2019. Today I want to look at recently non-tendered free agent Yangervis Solarte and how he could fit nicely with the 2019 Minnesota Twins. Before we start, when researching Solarte's history I found a nice little piece of information. Solarte was signed out of Venezuela as an 18 yr old second baseman by the Twins in 2005 for a $500,000 signing bonus and played for New Britain (AA) and Fort Myers (High A) as recently as 2011. Who says he can't fulfill that Twin Cities destiny in 2019? Yangervis Solarte has spent time with 5 organizations since 2005 and has shown the ability to not only produce at the plate but he has also picked up the most valuable aspect a player in the field can have in modern baseball. Versatility and flexibility. Over his career Solarte has played 42 games at 1B, 168 at 2B, 403 at 3B, 43 at SS, and 7 in LF. Sounds like a utility tool someone has who has been a target for many since day one of the off-season. That person of course being Marwin Gonzalez (For comparison Gonzalez has had a longer career but he has 191 games at 1B, 110 at 2B, 93 at 3B, 291 at SS, 157 in LF, 3 in CF, and 4 in RF). Some huge holes the Twins have at this point are a backup 3B, Middle infield, and uncertainty at 1B. Solarte seems like a perfect fit. If Sano fails to perform at 3B you can put Solarte in his place and move Sano to first. What if CJ Cron does his best Logan Morrison impression? Solarte can fill in at 1B with Austin or Sano could move to first and Solarte can take over at 3B or Sano could DH, Austin could play 1B, and Solarte can play 3B or.....the combinations are endless. But wait we already have Ehire Adrianza so why do we need Yangervis Solarte? It's a fact that at this point, the question marks are endless on this team, especially in the infield and insurance is going to be key in 2019 until Rocco Baldelli and his staff figure out what they have in the starting lineup we end up with in Minnesota. Adrianza can only fill in for one struggling player at a time so like a good neighbor, Solarte is there! In all seriousness, I hope Sano, Austin, Cron, Polanco, and whoever ends up being the opening day 2B/SS perform and have no problems, but is it a realistic dream at this point? It's a 162 game season and players like Solarte are going to be more valuable than people know when the going gets tough, and back to back to back games pile up. As with any player in the MLB, Solarte has to be able to hit a bit to hold a roster spot no matter how good and flexible his glove is. Well I would make the argument that Solarte can handle himself in the batters box more than people realize. Solarte spent 2018 in Toronto and his numbers didn't translate from San Diego the way he was hoping they would. Before 2018 Solarte owned a .268 BA, 57 HR (14.25 per year), and a .328 OBP over a 4 year career spent in NYY and SD. Then 2018 happened, .226 BA, 17 HR (Bright Spot), and a .277 OBP. In fact his 2018 single season averages across the board dropped in a pretty noticeable fashion. Is this the Yangervis Solarte the league should get comfortbale with? I don't believe so. Everyone in that Toronto lineup experienced a slump in their numbers in 2018 and I'm not sure if it was a coaching issue, the stadium dimensions, or just a lack of interest because of a lost season but it affected Solarte and that's the important point. Obviously, he can benefit greatly from a change of scenery. Toronto didn't work out numbers wise so they cut bait with him and the Twins should take advantage of this. If Solarte can get back to a .260 BA, 15 HR, and an OBP of around .310 he will be very useful to this roster. If we look at Eduardo Escobar's most recent years, minus the colossal 2018 season, that is around what he put on the board consistently. This may be our chance to acquire another Escobar in the form of Solarte and sneak it by the entire market as I have yet to see any interest in Solarte. So what will it take to acquire Solarte's services? Eduardo Escobar recently signed a 3 yr/ $21 Million deal and Marwin Gonzalez seems due for a 3-4 yr deal worth around $13-$17 Million a year. 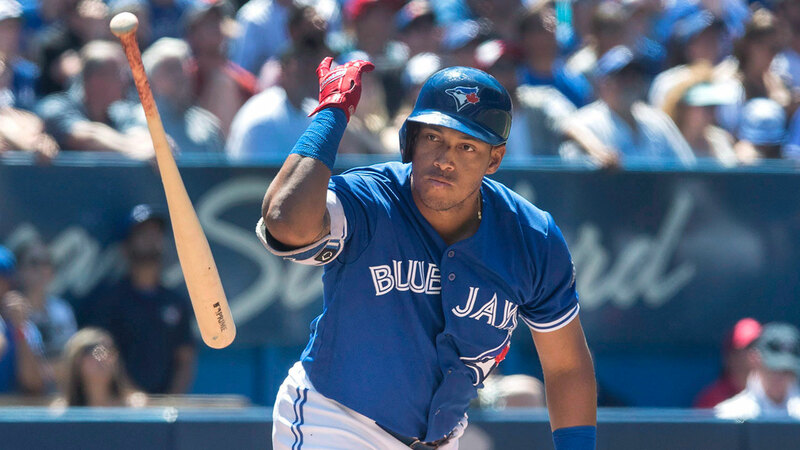 After running a few comparisons across the league for utility players with Solarte's numbers I would say that we could get him for around $4,500,000. That would be my starting offer and I would probably walk away at $6,000,000. This would be a great deal for the Twins. Solarte is 31 and still has potential in the tank which is rare for a guy at his age. The cost effectiveness would be off the charts if you look at how much Gonzalez is projected to make (granted he is the better player). For a few points less on the BA and OBP out of a utility bat, a $8-$10 million savings compared to Gonzalez salary would be amazing. These are the kind of deals that make a good team great. You have to stretch every dollar in the MLB today and Solarte is the perfect match for this mindset. Yangervis Solarte needs to be looked at by our front office. He fills more needs than one and would share a huge load that is currently solely on Ehire Adrianza's shoulders. Minnesota is the perfect place for him to find that success he had in San Diego, again. PS: Watch the guy play. He loves this game and it shows. His passion is contagious and I firmly believe he will become a fan favorite as well. Thanks for your time reading. Feel free to leave a comment with your thoughts. Personally, I don't feel he should be signed as a starter. And I have doubts he would be. More so because of the market. I would make a big move for Gonzalez or Lowrie at 2B. I would then look for the best available option for depth and versatility to complete my roster...pay a little extra if I have to...and Solarte would be near the top of my list. Unless someone panics, I'm guessing he's $2M to a max of $4M. It's just the market. And I'd pay that. The point of the article was for him to be a utility bench bat not the starter sorry if it wasn't clear enough. For sure if we could get him for $2-$4 Mill that would be great but he was due $5.9 Mill in arbitration and the Blue Jays declined so I think he'll make less than that but not by that much. If that price comes to fruition, go for it! But, I've gotta think that he will be looking for something closer to that $5.9 Mill and someone will pay it. $4.5 Mill is my best guess of what he'll make. Nice reserve, although not a guy who moves the needle much. How do the Twins fit him in on the roster?Assuming we keep 13 pitchers, that leaves 12 spots - 8 fielders, 4 on the bench. One of the 4 is the second catcher, one is Adrianza, one is the loser of the Rosario/Buxton/Kepler/Cave OF competition (either Kepler or Cave). That leaves one spot. Soooo, Solarte means no new 1B with Cron on the bench as a full time DH, no Astudillo, no Michael Reed, no Tyler Austin, or most of those nos and no 8th RP. That's what makes this tricky. I like Solarte but I don't like the idea of Cron as the everyday 1B so we need to keep Austin or find one, he's not really good enough to be the backup SS so we need to keep Adrianza, he's not really good enough to be the starting 2B so we need to get one, and I'd rather has Astudillo and the 8th RP. Interesting idea, but I just don't think it works. We are now at a point where there is no bench - just a reserve catcher.Lots of BP so what used to make sense no longer does.I long for the 10 pitcher rosters. With today's short benches, teams almost need a player on the bench with an option left that can be moved up and down to AAA depending on how many pitchers a team needs to be carrying at the time. Same thing for pitchers, they need guys with options that can be moved up and down when fresh arms are needed. When he is ready, that player may be Nick Gordon, as he gets time here and there at MLB until he is totally ready. Yangervis or Willians? At this point, would go with the guy who can also be a catcher, assuming the Twins only go with 7 arms in the pen. Yes, I like the fact that Solarte would be a fine backup for third base if Sano goes south. Solarte might be pricing himself out of the mArket for a sub role. Who knows. He will be an interesting player to watch in the off-season. Like I said, the last player on the bench should be a player that can be optioned up and down depending on their pitching needs. I forgot they had Astudillo for that purpose. And now they have torreyes. so they should be in good shape for bench players.